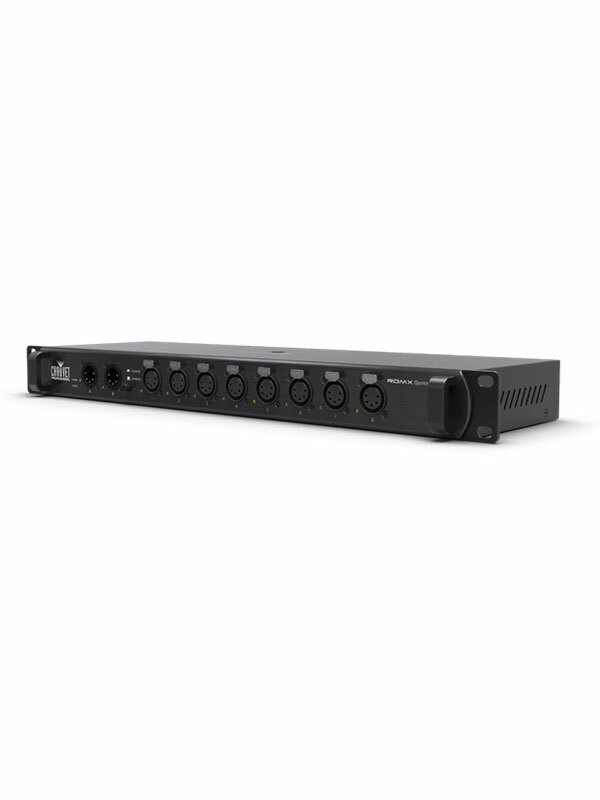 RDMX Splitter 8 is a versatile RDM and 5-pin DMX opto-splitter with a rugged, durable housing. 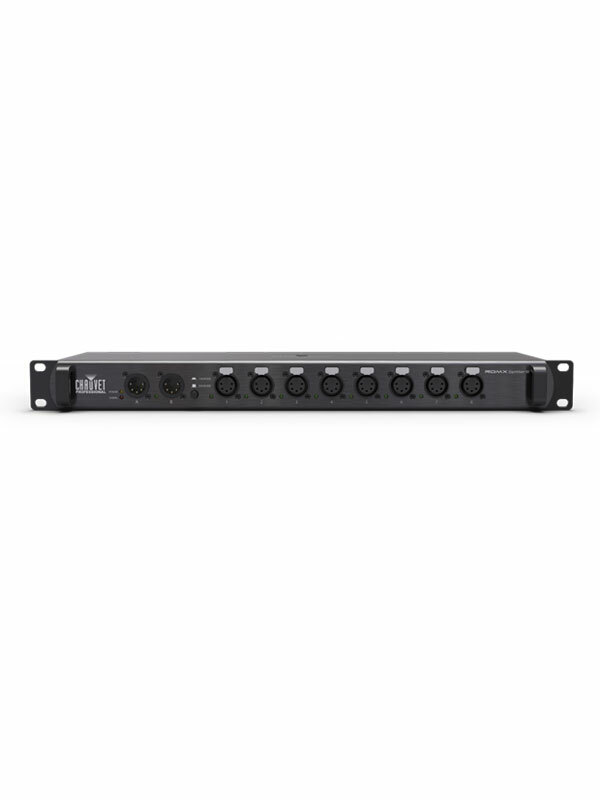 It features 8 outputs and 2 inputs, so it can instantly go from a 1×8 splitter to a 2×4 splitter for two different universes. 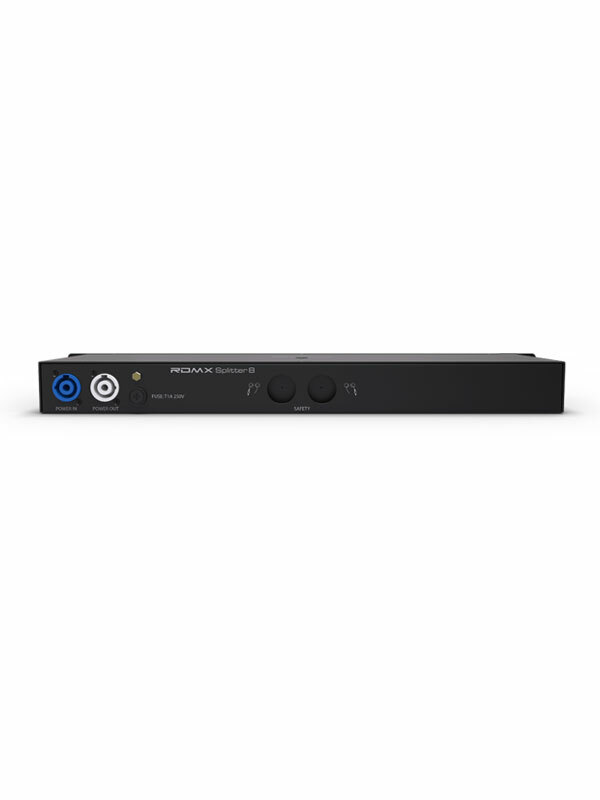 To simplify installation next to existing fixtures, PowerCON power linking is also supported to make it easier than ever to isolate, amplify and split a signal. 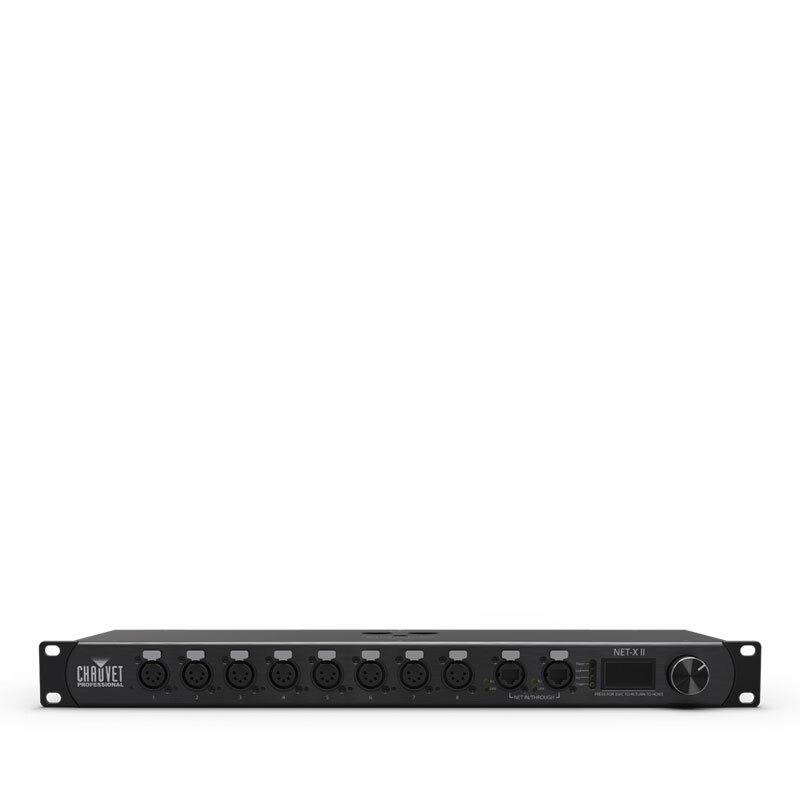 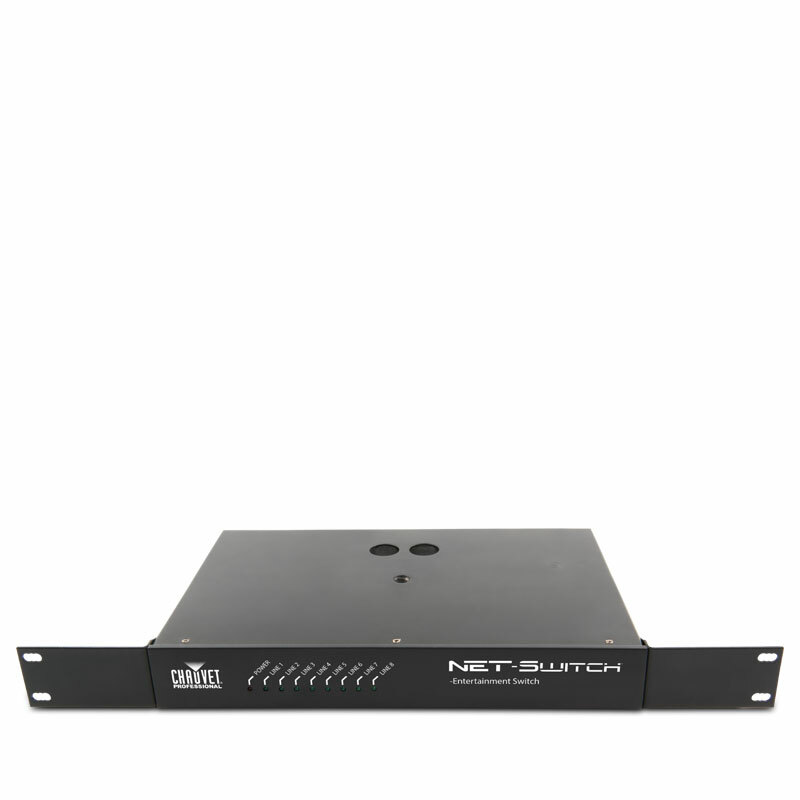 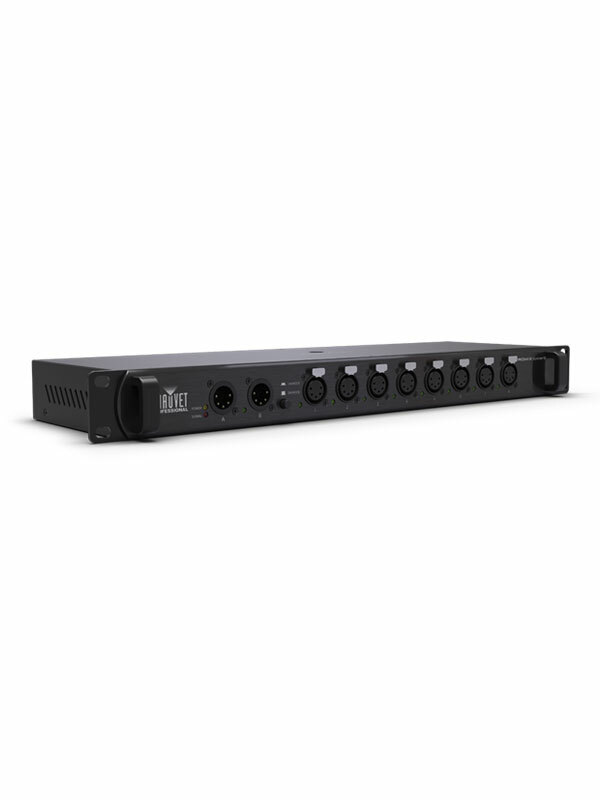 For added versatility, the unit can be either rack or trust-mounted and supports electrical isolation between inputs and outputs up to 1000 V between ports.